Hello - yes everything arrived in tack and the problem that we had with one of the braces was addressed immediately. Overall very satisfied with product and customer service would most definitely re-order and recommend your company. My teak bench showed up in perfect condition a few days earlier than expected. Assembly was easy. Most importantly, the product is of very high quality. 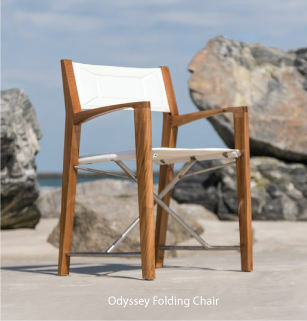 I will look forward to ordering from you again when I'm next in the market for teak products. Thank you for being so patient. We unpacked the table and chairs a couple of weeks ago and everything looks very nice indeed. The quality of the furniture is really lovely.Thank you for your assistance. yes, the shipment arrived intact and my initial impression of the table is very positive, it looks good, quite solid, and it was pretty easy to set up. I will visit your site again. My attempt to find the best of the best in teak was a success. We love it! Thanks for the personal service. A+ all around! Hi Yes Teak chest arrived ,beutiful as always. The cushion was great as was the service. Thanks! Yes, my second order arrived prompty after I notified you of the shortage. I also want to compliment you on the way you made it easy for me to let you know about this shortage. Everything arrived in great shape. The furniture is beautiful. The umbrella is absolutely stunning! It is a classic design beautifully rendered. Really first rate. It is substantial without seeming heavy. The quality and craftsmanship of the teak is great. We were also very impressed with the construction and sturdiness of the shipping container.